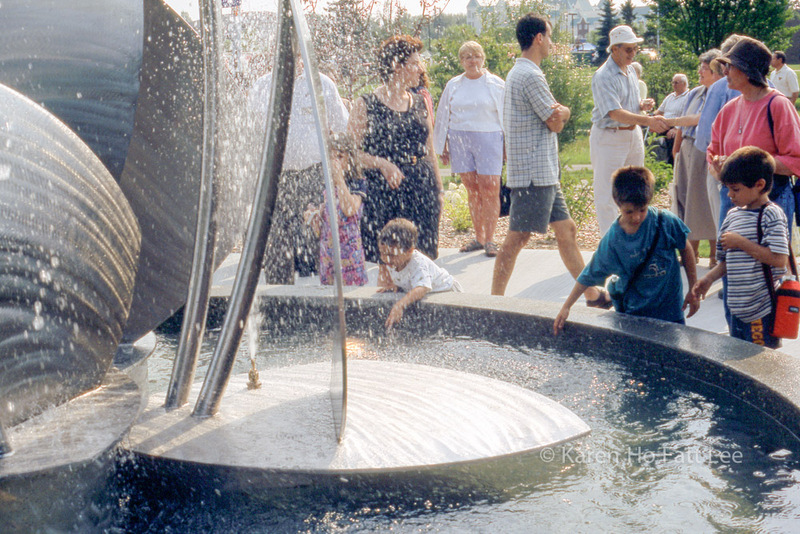 A feature fountain piece was required for a public garden. Design reflects the insects and plants found in a garden; the butterfly and water lily in abstract form. Materials: Mirror and brushed, laser cut stainless steel construction. 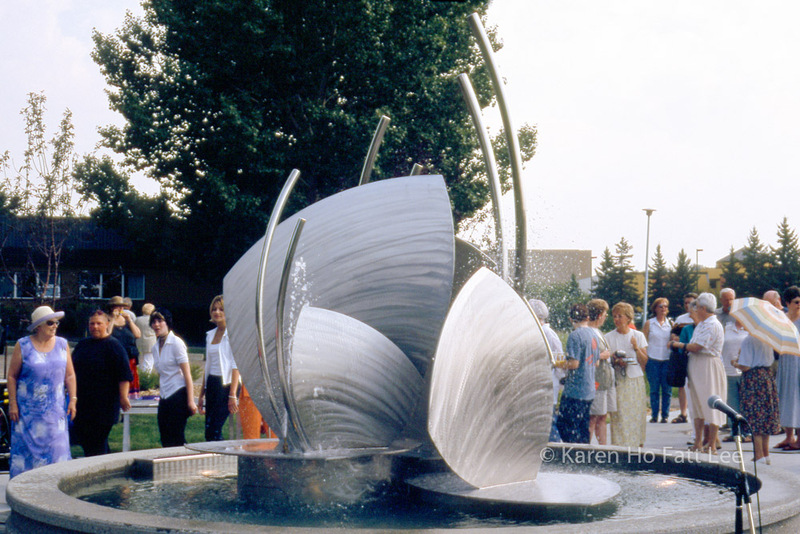 Commissioned by the City of St Albert.